Cpl. Grady S. Crabtree, son of Mr. and Mrs. Gus Crabtree, attended school in Chatanooga, Okla.; husband of the former Jeanette Baugh. 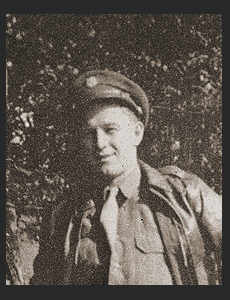 entered the Air Corps in Nov. 1942, trained, served in N. Afrcia, Sicily, England, France. Awarded ETO Ribbon with three Battle Stars, one Silver Star, Dist. Unit Badge.